Read the news about America's colleges and universities rising student debt, affirmative action debates, and conflicts between faculty and administrators and it's clear that higher education in this country is a total mess. 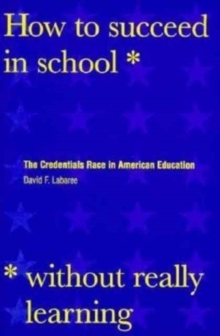 But as David F. Labaree reminds us in this book, it's always been that way. And that's exactly why it has become the most successful and sought-after source of learning in the world. 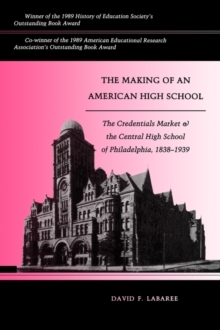 Detailing American higher education's unusual struggle for survival in a free market that never guaranteed its place in society a fact that seemed to doom it in its early days in the nineteenth century he tells a lively story of the entrepreneurial spirit that drove American higher education to become the best. And the best it is: today America's universities and colleges produce the most scholarship, earn the most Nobel prizes, hold the largest endowments, and attract the most esteemed students and scholars from around the world. But this was not an inevitability. Weakly funded by the state, American schools in their early years had to rely on student tuition and alumni donations in order to survive. This gave them tremendous autonomy to seek out sources of financial support and pursue unconventional opportunities to ensure their success. 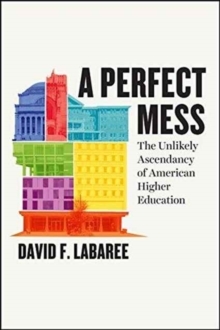 As Labaree shows, by striving as much as possible to meet social needs and fulfill individual ambitions, they developed a broad base of political and financial support that, grounded by large undergraduate programs, allowed for the most cutting-edge research and advanced graduate study ever conducted. 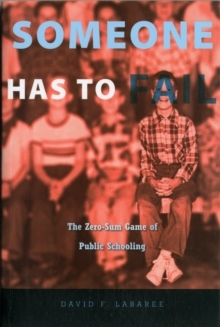 As a result, American higher education eventually managed to combine a unique mix of the populist, the practical, and the elite in a single complex system. 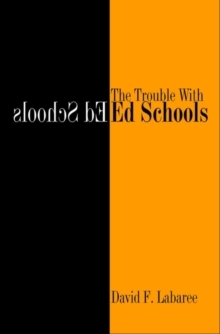 The answers to today's problems in higher education are not easy, but as this book shows, they shouldn't be: no single person or institution can determine higher education's future. It is something that faculty, administrators, and students adapting to society's needs will determine together, just as they have always done.